“Avail yourself of the force of the universe, and bring your instinctive ability into full play.” These are the words of Wang Xiangzhai (1885-1963), founder of the Yiquan system. 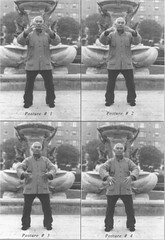 Yiquan incorporates physical and mental training into one simple system that requires no special equipment or skills. While it is a martial art, it is much more. Yiquan is a complete system of physical and mental cultivation that provides benefits for all. Martial artists who want to refine their skills; those interested in improving their general health, strength and endurance; those interested in healing themselves or recovering from the effects of a past illnesses, injuries or emotional traumas; those engaged in improving their ability to focus their mental energies; or those seeking tranquility in these less than tranquil times. Wang Xiangzhai was born in Hebei Province in China in 1885. In poor health as a child, he began studying Xingyiquan or “form & mind practice” with Master Kuo Yun-shen. Though Xingyiquan is a martial art, Wang’s original intent, like that of so many today, was to improve his health and realize his full potential. And like so many who begin the practice of the martial arts for health, Wang became devoted to his study, improving his health and along the way also becoming an accomplished martial artist. As an adult, he traveled throughout China, seeking out and learning from the masters of a variety of different styles and systems, and by the time he was 30, had become one of China’s foremost martial arts masters himself. It was while teaching martial arts to Army cadets in Shanghai in the early 1920s that Wang had a key insight into the nature of human potential, and turned his attention once again to the realm of health. Wang realized most students paid too much attention to specific postures and patterns of movement, but neglected training their minds and spirits. Their movements may have been swift and powerful, he observed, but their movement were nonetheless “empty,” and not as effective as they could be. Moreover, such physical training devoid of mental and spiritual training, Wang felt, created imbalances that could lead to illness and injury, if not psychosis. It was only the mind, consciousness if you will, trained and refined and focused, that could fill the emptiness Wang saw in his students’ movements, and correct the imbalances. Wang thus set out to eliminate from his gongfu (Kung Fu) anything that wasn’t essential, that might interfere with his natural ability to respond naturally to whatever life might throw his way, be it aggression, disease, injury. The result of that process of synthesis and refinement was Yiquan. It became know as the “style of no style,” a nicely ambiguous description that captures some of the quirky Taoist worldview that lies beneath the practice. “The goal of I-Ch’uan,” Wang said, “is to concentrate the spirit and stabilize the mind. Find the natural, inborn abilities.” While his system was popularly dubbed “Dachengquan” or “Great Achievement System,” Wang thought that was a bit too grandiose, and preferred to call it simply I-Ch’uan, “intention practice,” to emphasize the importance of the mind in his art. Thus I-Ch’uan’s simplicity and emphasis on awareness, rather than complicated technique. These insights developed within the context of martial arts, are applicable to all aspects of life. I-Ch’uan’s basic practice is zhan zhuang. 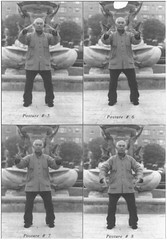 Other practices include more obviously martial techniques, but these are few, and all deceptively simple, and all are practiced within the context of , and informed by zhan zhuang and a certain attitude which you might think of the as the “I-Ch’uan way.” The “I-Ch’uan way” appears much too simple, so simple as to be absurd that one could develop such extraordinary powers this way. But this is the essence of I-Ch’uan. Through these deceptively simple practices, we integrate the mind with the body, we develop qi, we learn to focus our intention more precisely, and we strip our reflexive responses of all the excess baggage of learned techniques, preconceived notions, or unconscious habits of carriage, behavior, and self-armoring picked up over a lifetime of hard knocks. Through this practice, then, we allow our natural responses to whatever life sends our way to surface; in this, the ideas underlying I-Ch’uan are very similar to those of Taoism and Zen. I-Ch’uan helps us find the physical correlate to what in Taoism is called the Tao or way, that is the natural, appropriate response or course of action that is in harmony with all around us. The practice, and the physical and spiritual insights it offers, provides a firm center in a changeable world in which we are constantly bombarded with received ideas and ways of acting and being. Thus through the martial art of I-Ch’uan, we can physically confirm and reinforce the essence of a life philosophy and spiritual path. Wang Xiangzhai’s students were winning or placing in full-contact tournaments. He was teaching zhan zhuang and martial arts exercises in the parks. Through zhan zhuang, students could improve their health, be cured of debilitating diseases (as Wang himself had recovered from asthma), and develop the self-awareness, rootedness, and integrated power necessary for martial arts skill. Naturally, students who wished to perfect the martial arts had to apply their skill to full-speed sparring. But there were no “forms” or “katas,” no choreographed routines that the student had to memorize. Wang’s successes perplexed the martial arts community, who couldn’t understand the connection between zhan zhuang and self-defense. Wang Xiangzhai had four very talented pupils one of them was named Han Xingyuan who became quite renown for his martial abilities. When Sifu (honored teacher) Han started studying with Wang Xiangzhai he was already Xingyiquan master and began to strip down his techniques to their essence. By doing this he was able to achieve a so high level of sensitivity that it appeared as if he was reading an opponent’s mind and reacting to the intention before the opponent knew what was happening. As well as, Wang, Sifu Han’s basic practice was a type of standing meditation, which is the heart and soul of I-Ch’uan. That isn’t to say that Sifu Han didn’t practice more obviously martial techniques, but they were just a few and deceptively simple.